Gone are the days when cleaning floors at commercial establishments involved a pail of water, soap and a strong back. 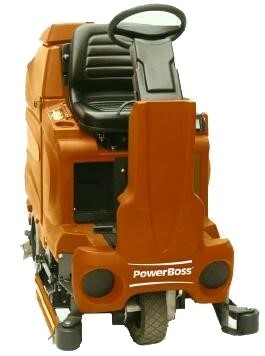 With industrial floor cleaning machines, businesses are now able to maintain cleanliness easier and more efficiently. Floor scrubbers, for one, can keep your building presentable and fresh as a primary cleaning tool. Because a range of models exists in the market, businesses may find it challenging to make a buying decision. They often commit mistakes that result in a waste of money. You must be aware of these mistakes to buy the floor scrubber that best meets your needs. It’s easy to disregard the thought of replacement parts should your recently purchased machine break down, because it’s still new to you. However, preparing for malfunctions can help you make the right purchasing decision. Because the parts to a floor scrubber aren’t generic—meaning they are specific to certain makes or models—you need to ensure that its replacement parts are easily available. Having to wait for weeks or even months for such parts will get in the way of your maintenance schedule. Make sure that the machine’s parts, such as pad driver or brush, battery charger, water solenoid valve, and squeegee blade set, can easily be replaced. Some buyers only focus on the exterior features of a machine and ignore what powers it. It is wise to examine the type of batteries the machine uses. Wet-cell batteries are traditionally incorporated, but with the development of better options, your choice can be wiser. Gel-style batteries are becoming more popular for their ease of maintenance and safety features. This type handles total discharge better than other options. Though it’s not advisable to totally discharge an industrial floor scrubber, using batteries that can possibly survive such misuse is recommended. Your scrubber should fit the type of flooring in your establishment to maximize its cleaning capacity. For instance, machines that are designed for concrete may damage other flooring types because their scrubbers are too abrasive. Vinyl and laminated-hardwood flooring require particular types of machines as well. Avoiding these mistakes will allow you to choose the right floor scrubber for your establishment. You can also find expert advice from reliable manufacturers on your way to making an informed decision.